What is a bucket-list image you ask? We all know a “bucket list” is the list of things you want to do, see, experience before you die. 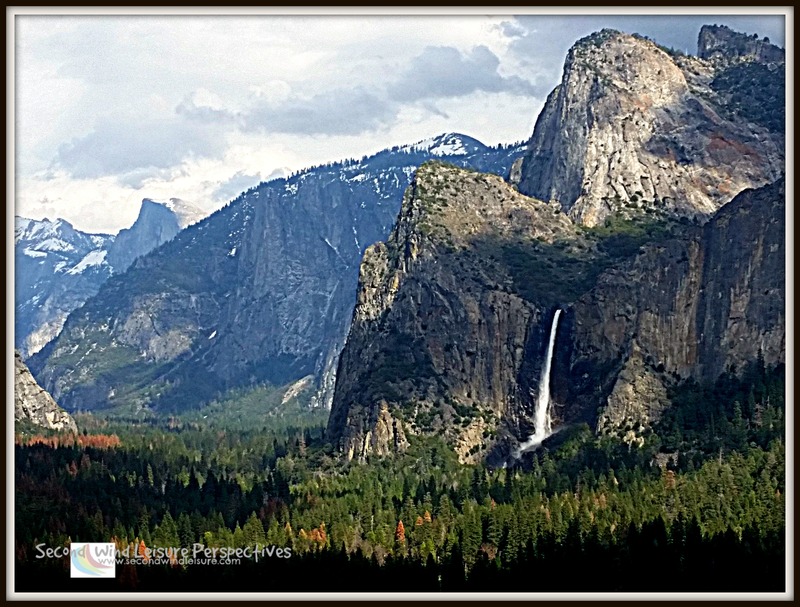 A bucket-list image is that person, place or thing you want to photograph before you kick that bucket! It has always been my dream to take my photography to the next level. Nothing wrong with my Samsung Galaxy cell phones, but a “real” camera does so much more! For example, a phone or point-and-shoot digital cannot take a satisfactory image of the full moon or an action sports shot. 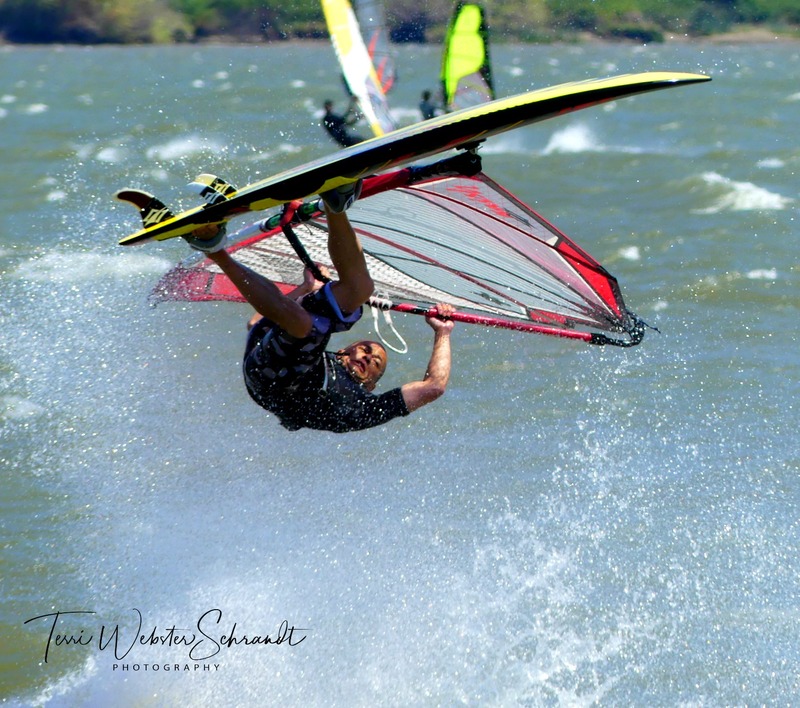 When it is too windy for me to sail, I happily shoot other windsurfers in the high winds. This zoomed-in shot below taken with my Lumix FZ300 has a “travel lens” that shoots from 25-600 feet with amazing clarity! This was taken in auto mode…now that I have learned more about my camera from taking a class, I can play with aperture and other setting to perhaps get a better shot. I am quite happy with this shot. Not only can you see his expression, but the water droplets are relatively sharp. Not the best image in terms of composition, but I’m happy with it! I love photos of the full moon. In my class, the pro photographer showed me the settings to get this shot of the almost full-moon in October. (manual mode, F2.8 1000 ISO 100). Here is what I was getting before. The phone can’t do it all, nor should we expect it to. I have been lucky and diligent to get some fab photos with the phone though. Extreme macros of flowers, plants, bugs. To help inspire you, here are some of the images that have satisfied my bucket list so far. Share your new and old bucket-list images and tell us about them! Yes, there will be a part-two to this bucket-list image challenge early next year, so you can save some for that post or go create more. I have added the December themes to my page. Please visit as I have made some small changes. I am adding this post to Lens-Artists Photo Challenge: Splash! You can link up here and/or link to this post! Please title your post differently from mine and use #SundayStills for sharing! Your ‘splash!’, hummingbird, molten dragonfly, and Yosemite shots were especially impressive. and your full moon shot is totally on my bucket list! How I would love to take such a beautiful image. I remember once being in a course where we were asked to make a collage of pictures that represented our bucket list. I remember it because I and am living it today! Visuals can have such a powerful effect in helping us to manifest desired new realities. How awesome is that! I only have an Instax 2 Mini Printer aboard at the moment (for giving gifts to the people I take pictures of) but would love to use an online canvas printer to diplay some of mine too …when we get to a land ‘home’ . Just lovely photos Terri. Thank you. That surfer is an astonishing achievement! Thank you, Leya! Better to be the photographer than to be blown away by the high winds that day! Your photographs are works of art! Wish I had had your settings for the full moon shot when we visited White Sands for the full moon in October. I was scrambling all night to try to find a setting that would allow me a clear, photo of the sand dunes in the moonlight. Hope to return in the spring to try again. My life has been upside down lately with my mom taking ill. I still have hopes of doing a photo post very soon with my Sunday Stills pictures. Believe me, Leslie, I needed help with it, but now I know! Sorry your mom is ill..prayers for her and all of your family! Stunning photos! The dragon fly is amazing! Amazing shot of the moon, Terri. I’ve tried taking photos of the moon but never had any success. The detail in the windsurfer photo is stunning. A great capture. Thanks so much, Hugh! Can’t wait to see what you have for us ! It’s in the draft folder – the first post I’ll be publishing using the new Gutenberg editor, too. There’s a learning curve, and I’ve also had help from the Happiness Engineers, but I’m liking using it, Terri. As always – I love the photos you choose to share. I adore the moon one! That’s on my bucket list too! That was fascinating, Terri – and love your shot of the moon. An amazing contrast to the other photo. Your bucket list idea id a great way to set a goal for yourself. Your photos just keep getting better and better! I agree that this is a great collection of shots. The idea of ‘bucket list photos’ is a truly brilliant one! Very cool idea, the bucket list image thing. I’ll have to give it some thought…I’ve taken a night photography workshop and I’m still working on getting that one great night sky shot. But I could add getting the northern lights to the list of things I’d love to do…and some places in Europe, and more national parks here, and of course (for me) some incredible old barns. It’s a goal to get that one great shot! Your workshop sounds great, Dawn! Great collection of shots Terri, I really love the moon! Thoroughly enjoyed reading what’s on your bucket list for the future too. Thanks for having us join you in this weekly challenge. Thanks, Molly, I’ll bet you have something good! 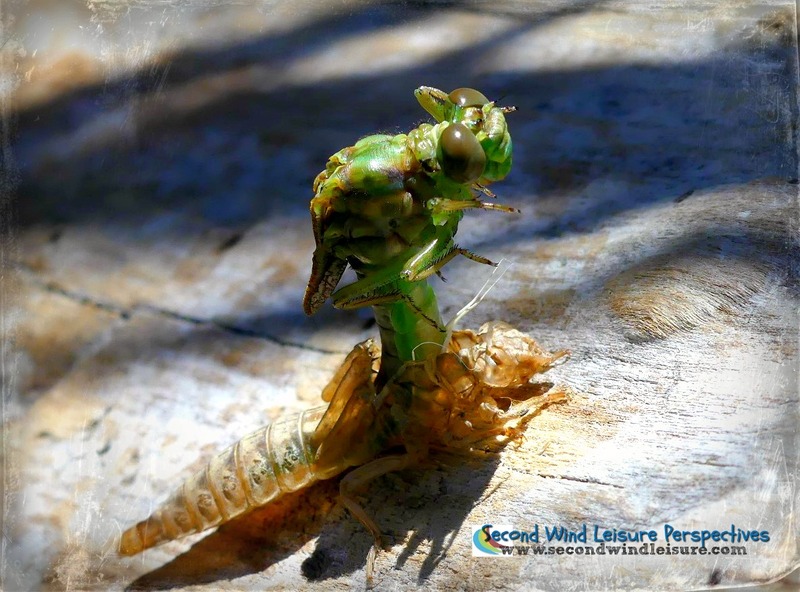 OMG, the dragonfly appears to be an alien. T must say this is a National Geographic material. Bucket list? Too many that I am running out of buckets. 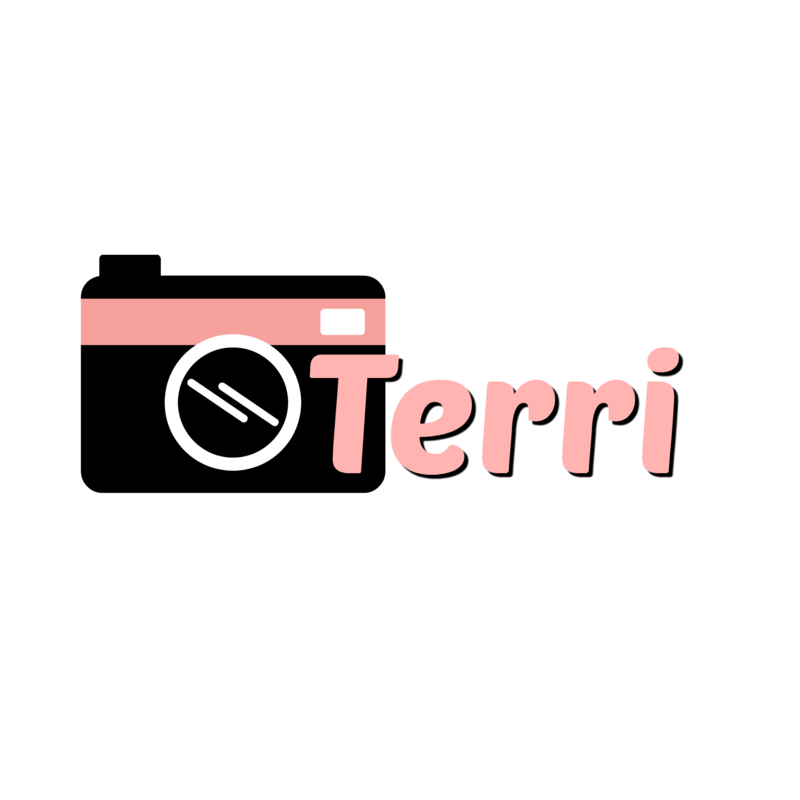 I love your photographs and your ambition, Terri. I hope I will see your bucket list photographs in due course. What a fun challenge Terri! Love your surfer and hummingbird images especially! Thanks, Tina! You and your photos have been an inspiration to me! That’s an amazing shot of the windsurfer, Terri. I agree that action shots and full moons are the hardest subjects to take photos off. I have the same problem and can never figure out which (automatic) setting to use. I love my little camera with its big sensor, but I do miss a viewfinder and a real lens sometimes. It’s a trade-off though, as I am able to take my small camera with me everywhere. And, I do. 🙂 I still have no phone and happy about that. Your photos are inspiring to me, Liesbet, because of the places they represent and your leisure ethic you embody. It’s amazing what images can be captured with a point and shoot or a cell phone! Just wow! You’ve taken amazing photos, Terri. You’ve also shown how taking a class can improve your skills, especially since you’re now working with a camera instead of a phone. I own a small camera that I’m just learning how to use. Holding it still so I can press the button is a challenge for me. It takes a long second to snap the pic and I always end up moving the camera, guaranteeing a blurry shot. Seeing what can be done here is a real treat. Thank you, Shari. I’m still using the phone in a pinch, but it’s camera is much better than previous ones. It was worth the time and money to take the classes just to figure out my camera. You should be able to change the settings to speed up the button. It might be your aperture setting as well. I still have a lot to learn! Thank you – I didn’t know I could adjust it. I’m not sure since I don’t know what kind of camera, but when I took that class, I had several “I could have had a V-8” moments (slap to forehead), when the pro showed me a couple of things. Who read manuals? 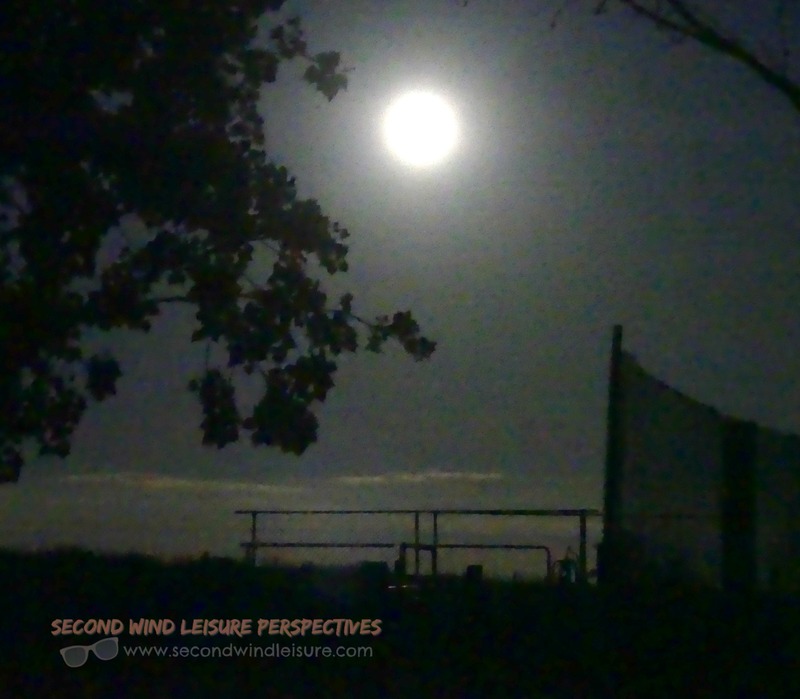 The windsurfer is a great shot with lots of nice detail, the full moon also. And is that a whale shark farther down? That must have been quite the experience. Here’s my post for this challenge: https://grahamsisland.com/2018/11/25/waipio-valley/. Thanks, Graham, my Lumix with 600 zoom really performs on those action shots. Yes on the whale shark, borrowed a disposable under water camera, but it still made the bucket list. We get whale sharks around here I believe and I’d love to see one. So big and yet so gentle. They are like giant cows feeding in a pasture, swimming next to them is the epitome of feeling insignificant. What a great challenge topic, Terri. Can’t wait to sit down and put together a few bucket list shots. So well put; we see shots that we drool over which helps use strive to improve! Thanks, Susan, it’s great motivator. I’m excited to see what you share! 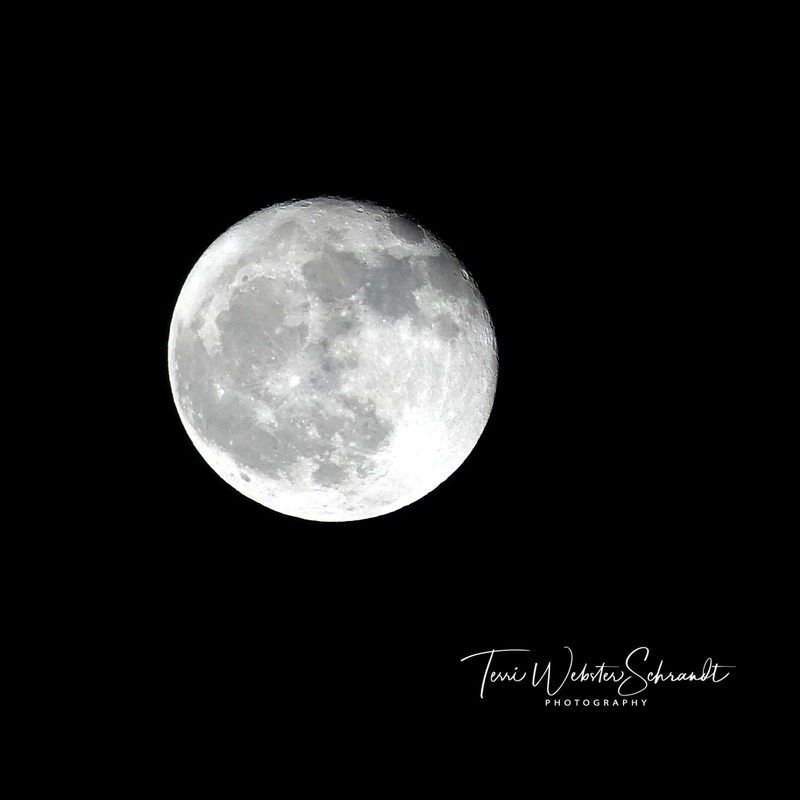 Your moon shot is amazing Terri! The phone camera has come a long way but it still can’t compare for some things. Thank you, Jodie, I am over the moon about it, hahaha!